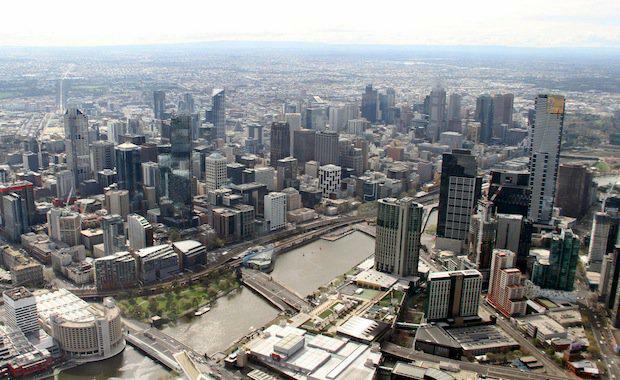 The race to develop Telstra’s new $700 million Melbourne office tower has taken a twist with Grocon and partner UBS believed to have drawn in a new offshore backer to pick up a half stake in the landmark project. As reported by The Australian, GPT and its wholesale office fund were last year named as a potential partner for the Grocon and UBS alliance, as it goes head to head with Lend Lease for the right to build the 70,000 square metre tower. The developer declined to comment, but it is understood to have confirmed the new capital partner over the past week. The identity is officially unknown but would bolster Grocon’s chances of winning the project. The consortium will face off against Lend Lease, which has the backing of its powerful unlisted Australian Prime Property Fund Commercial, and The ­Australianhas reported that the group is widely seen as favourite to pick up the contract. Those close to the deal-­making insisted Grocon was still in the race even though the shift in backers has generated some chatter as the developer, GPT and GWOF have partnered before on Westpac’s new ­Melbourne offices at 150 Collins Street. GPT was also a key backer of Grocon’s Liberty Place tower in Sydney and its ­wholesale fund holds a 50 per cent stake in the complex.